Help relieve upper and lower back pain with professional cold therapy and compression wraps by Pro-Ice. The secret to why people love Pro-Ice wraps is the ice Cryoblanket with is flexible and conforms to the body while providing up to an hour of ice therapy. The wraps are durable and long lasting and easy to put on. For whatever type of back pain you have, Pro-Ice your back for soothing cold therapy relief. Pro Ice Back Ice Wraps and Neck Ice Wraps are The Best Back Ice Packs On The Planet! 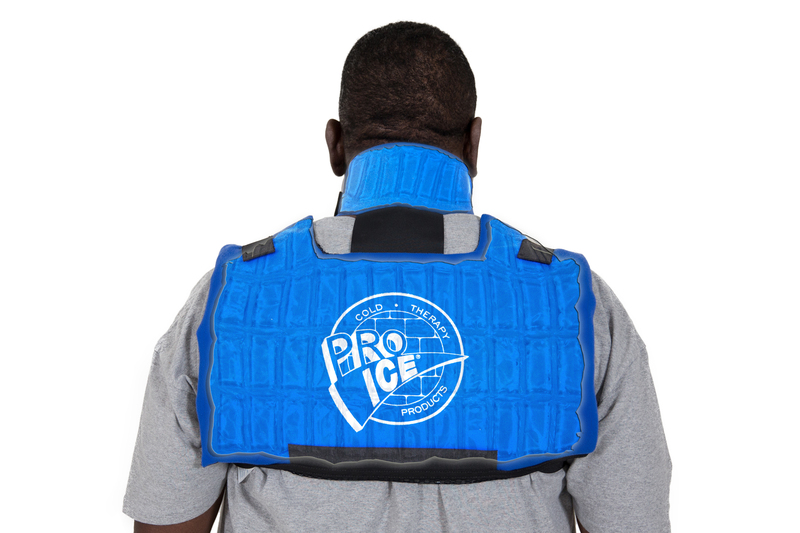 The Pro Ice Neck & Scapula Ice Wrap, pi100 covers the most area of any ice pack on the market by being able to ice the neck, top of the shoulders and upper back to mid back area. Easy to use and effective at helping relieve neck and upper back pain due to muscle spasms and swelling. Pack stays in place well with the included compression straps. If you suffer from neck pain that includes the Trapezius (top of the shoulder) region and upper back or Scapula region, you will love this neck and upper back ice pack. Effective cold therapy for the lower back with Pro Ice Low Back Ice Wraps. These wraps are sturdy and durable and provide lower back support and compression while you are icing your lower back. 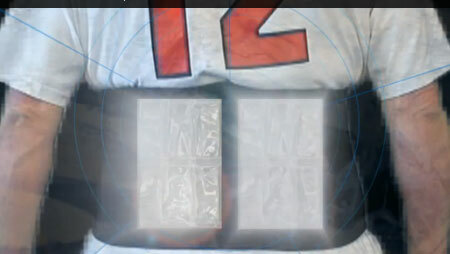 You can wear these low back ice packs over or under your clothes. If you are looking for a quality low back ice wrap, the Pro Ice low back pack is the one one to choose. 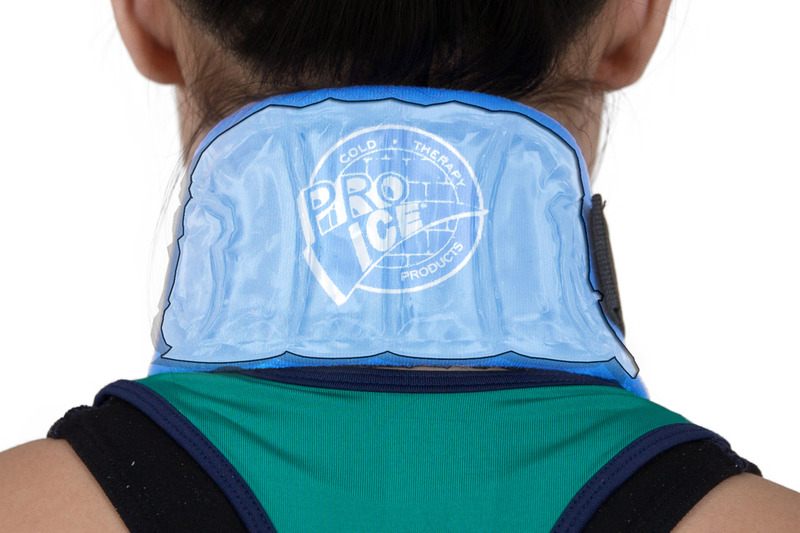 The Pro Ice Neck Ice Wrap encompasses the neck and stays in place with a front Velcro closure so you are able to move around and keep active. Provides deep cold therapy to the neck to reduce inflammation and pain due to Cervical muscle spasms, joint inflammation and neck Arthritis.